No advice. A ton of sympathy. We all try to do what’s right by all the horses in our lives. Fingers crossed that Foster finds his person. Oh Britt! This is so hard — I hope you can find a solution that puts your heart at ease. That last photo btw, I LOVE. Thank you. Maybe a silver lining is the opportunity to get new photos of my precious? I am really sorry you are needing to do this – are there any other bloggers with land not to far off that you can help pension him on? Ha! I would love to be able to do that. I admit, I haven’t reached out to the local equestrian community yet. 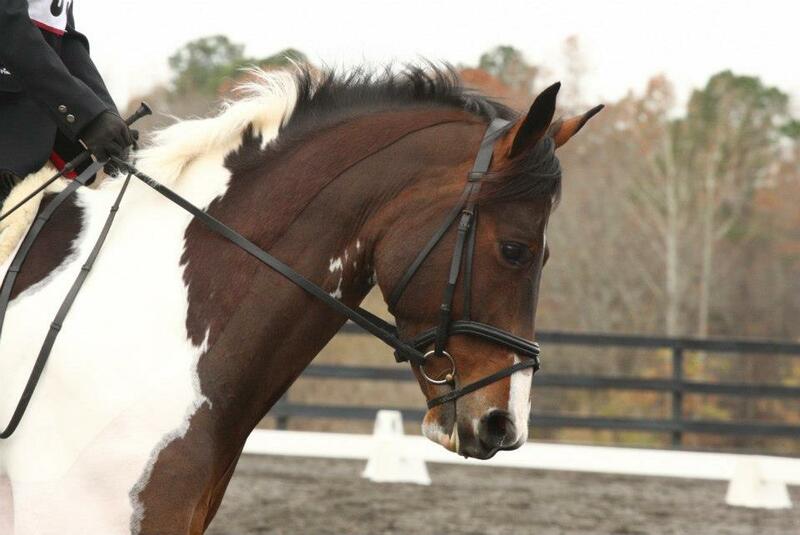 I figured I’ll see what shape he’s in and assess what his job could really be (for example- could he jump 18″ fences?) and then try to place him. Technically he’s in limbo at the moment! It’s my job to find him a home, but first I’m going to see him and assess how sound he is and see what he’s doing (for instance I don’t know what shoes he’s currently wearing- what saddle he goes in- etc)! And I need to talk to his person- could he keep that saddle? Do I need to be looking for a new one? So many questions to answer but I will keep you in mind! Not going to lie – I tried to re-home my first horse when he retired and it was a disaster. I was so, so lucky I managed to get him back, despite having a fairly good (according to an attorney) “right of first refusal” agreement. After that, I buckled down, found pasture board that I could afford, and checked on him at least once a week *in person* even though it was a long drive. It was financially difficult and time consuming, but it was what worked for me. But everyone’s “right” is different, and I sincerely hope you find a solution that works for both you and Foster. Best of luck, and lots of hugs. Oh man- see, that is what scares me. He’s about an hour away right now, but my hope is that I can find him a place much closer- I’m also looking into pasture board locations as a thought as well. Thanks for the kind words- whatever I end up doing it will be with Foster’s best interest at heart. Thank you- and I agree, he’s got a lot to give. I’m sorry. That’s so tough. One of the reasons I wanted to have acreage was so I could keep my – sadly growing collection – of horses needing retirement. I did end up finding the best home for Dijon though. He’s so much happier having his own people who love and ride him than he was being cared for but not getting the attention he deserves as a retired horse with me. I hope you can find a home for Foster. Thanks Olivia. I wish I had a soft place for him to land like that. Either way I know he’ll be ok, but probably a rocky journey ahead of us (me) to figure that out. i’m sorry 😦 why can’t there ever be any easy answers with horses? wishing you luck in figuring out what the best next step is for you and Fos. Thank you. And yes, confound these creatures! Hugs ❤ I wish for an easy solution for you and Foster! What about someone who has a horse who’s lonely. He could be a companion horse? Or a loan home for hacking and some pleasure activities. You would still own him but not have to pay for him. Thanks Tracy, really appreciate that. I’ll keep my ear out for someone over here looking for a pasture mate or trail horse. If you think he could do walk/trot/some canter lessons 2-3 hours a day I could use a great horse like him this summer at camp. Even if its just for this summer while you find him a more permanent home but it could help with his expenses if you end up keeping him. He’s such a cool guy that I know he’ll find a perfect spot to land! Thanks Bette! I’d have to think about the camp situation- but in the meantime please do let me know if you hear of anyone looking! Feel free to shoot me a message and we can chat! Hoping you can get this figured out quickly! It’s not fun being in that limbo. Thanks! Really appreciate it and yes hope we’re not in limbo long! Blerg. This is so tough! Could you do a care lease with someone? Something where he is legally still yours but they are responsible for his care? That way they can keep him, ride him, enjoy him, but he’s still yours if you don’t like what’s happening? I think that if the stress of him potentially coming back to you time and time again (and having to figure out what to do with him, how to afford a second horse again etc) is too much, pasture board may be the best option. I don’t think most horses mind spending their days eating and having nothing asked of them. It may be the most affordable option if you don’t lease him out? Oh! One more thing! What about a therapeutic riding program type of thing??? I totally agree with all of the above! No matter what, I agree that this time I want to technically own him, even if he’s with someone else. It’s a minor detail I guess (if he was to live with someone else, etc) but it allows me to ultimately maintain control, which I’d like to do. A few people have mentioned therapeutic places- it may be an option, though I haven’t actually ever put a full beginner on his back. He’s a tolerant-enough guy though, so- maybe? Placing Pig was really hard, and I’m still trying to work out what is 100% best for him. I totally feel your pain. Unfortunately for Pig, he decided he was a one person horse and refused to be worked by others regularly without scaring the crap out of them. Apparently he requires regular momma beatings to stay on the polite path. Haha. I was lucky to find a cheap field board solution that I can swing financially. Still, I’d love to find him a place that could be his permanent home, somewhere I won’t constantly worry about him. I live out in the S. Raleigh/Garner area and there is TONS of land this way and loads of people have horses at their house – maybe post on some FB groups for this area to see if someone needs a companion or for cheaper pasture board? If he ended up anywhere near me I’d be happy to look in on him for ya! Thank you for the suggestion! I think, after I see Foster tomorrow, that I’ll see what I can figure out within my network what I can make work. Then if no solution presents itself, I’ll go to facebook. What troubles me is actually that he is SO cute, that people might fall in love with the idea of him, and not appreciate his real needs. Always appreciate someone who can help me look after him so really- thank you!